Read our recent survey findings to learn how funeral directors are using mobile technology today. 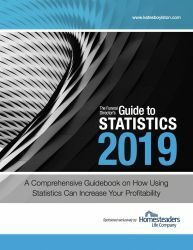 This article was originally published in Kates Boylston Publications’ 2019 Funeral Director's Guide to Statistics. This comprehensive booklet contains the most up-to-date statistical information and provides valuable knowledge on the latest trends impacting funeral professionals. Did you know that 74 of ASD’s team members have been with our company 5 or more years? 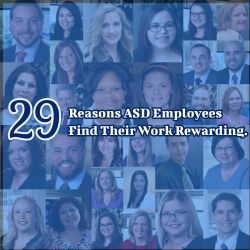 These numbers are a reflection of ASD’s unique workplace culture, which emphasizes promoting from within, creating opportunities for employees to learn new skills and numerous performance awards. Recently, we asked our staff to share what they felt were the most rewarding aspects of working at ASD. Here are their answers. Happy 2019! Here at ASD, we believe every year we serve funeral directors is better than the one before because we are blessed with the best clients any company could ask for. 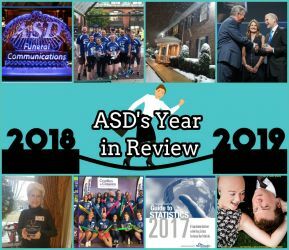 As we look forward to an exciting and innovative year here at ASD, we’ve taken some time to look back on all the significant moments and benchmarks from last year. 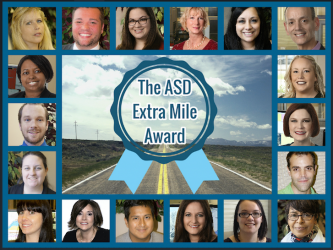 The “ASD Extra Mile Award” gives our employees the opportunity to commend one another for a job well done. This award fosters positivity in the office and helps us to spotlight employees who go above and beyond to do a good job at ASD. Our staff appreciates being able to recognize their fellow colleagues and the different ways they contribute positively to ASD. As we welcome the magical Christmas season here at ASD, we wish you & your family the same joy and excitement we feel during this time of year. We know that funeral directors work harder than all of Santa’s elves combined. Christmas, New Years Day and the entire holiday season is fully staffed with back up support so you can enjoy those days knowing your phones are always protected by ASD. Today marks the 7th anniversary of when ASD released the first version of ASD Mobile to the App Store. It is hard to believe that only seven years ago, funeral directors were given the freedom for the first time to take their mobile communications on the go. To celebrate ASD Mobile’s birthday, we’re taking a look back at our app’s history and evolution. Here is a timeline of the ASD Mobile app.